Outlook Email Attachment Downloader v2.3 is a software to download attachment files from Outlook emails. Outlook Attachment Downloader v2.3 have lots of options of saving attachment files. It allows you to select specific type(s) of files to download / save in defined folder in your computer. Outlook Attachment Downloader v2.3 allows you to select any Outlook mail folders (ex. Inbox, Sent Items, Outbox, Drafts, Deleted Items and other user folders) in Microsoft Outlook. It supports Microsoft Outlook 2013, Outlook 2016 and Office 365. Free trial download available for Windows. 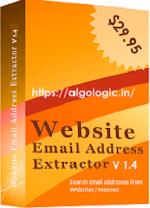 All Files Email Extractor v2.4 is a software utility to email addresses from PDF file, Word (.doc) file, Excel (.xls) file, RTF, CSV, TXT, XML, HTML, ASP, INI, LOG and other document files from your computer. Free Trial download available for Windows. Extract email addresses list from Mozilla Thunderbird. 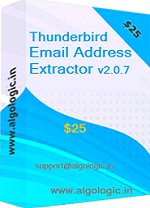 It extracts all email addresses from extracts email addresses from Recipients, CC, BCC, Subject and Mail Body of Thunderbird emails. Extracted email addresses can be saved in excel / csv / txt files. 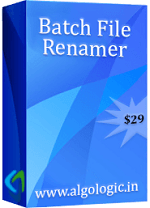 Batch File Renamer is a software for rename multiple files with lots of files renaming options in windows. It renames many files in few mouse clicks. Files rename preview and undo function is available. Free trial download available for Windows. A best software to extract email addresses from online PDF files from websites. It searches all PDF files in websites and links found in website. It extract email addresses list from all found PDF files and can be saved in xls / csv / txt files.